The Times 25 November 2017. 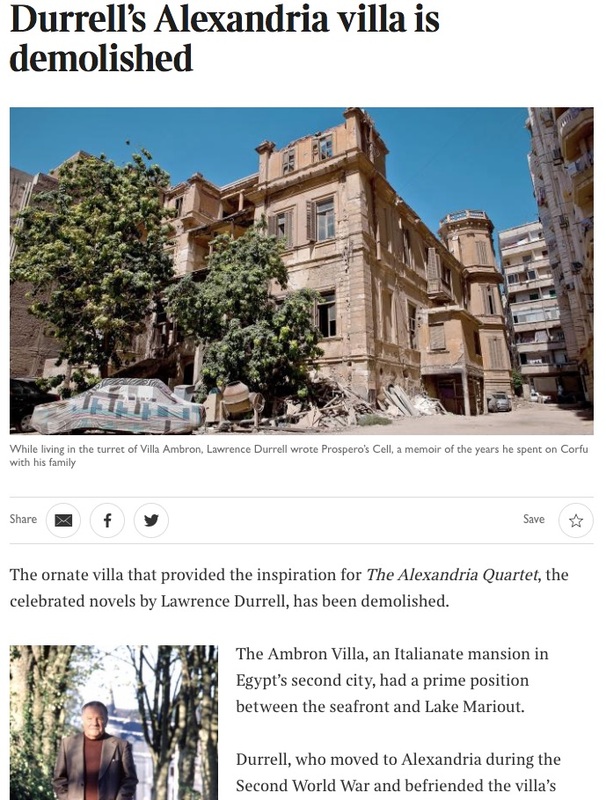 Today The Times, in an article written by Richard Spencer, its Middle East correspondent, roused itself to publish some old news, first reported in this blog over two months ago. - Balthazar speaking at the end of Clea. 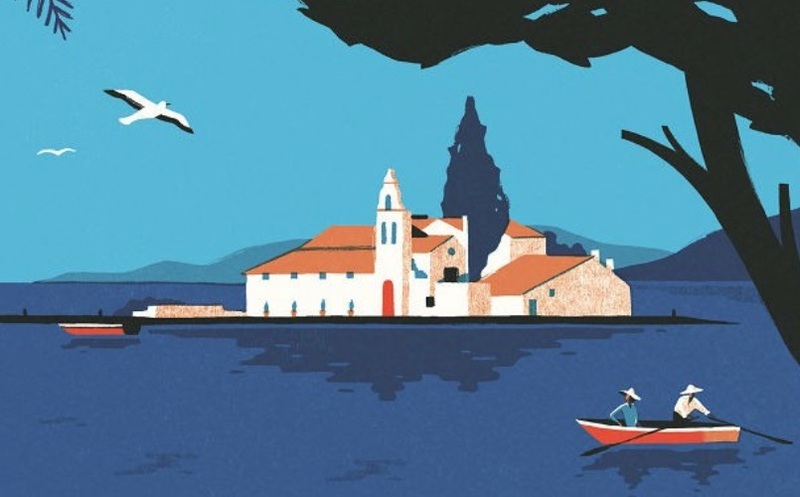 The Durrells of Corfu, published earlier this year by Profile Books in London, will be published in Greek translation by Patakis in Athens in 2018. Patakis will also be launching next year my Alexandria: City of Memory, first published by Yale University Press in London and New Haven in 2004. It was published in Greek by Oceanida in Athens in 2005; now Patakis are making a fresh translation and are issuing the book as a trade paperback. These two books, The Durrells of Corfu and Alexandria: City of Memory, are closely associated with one another and with my curiosity about the Durrells as I explain in this Waterstones blog post. It pleases me immensely to see them published in Greece, the country that inspired the remarkable Durrell family and such friends of theirs as Henry Miller.